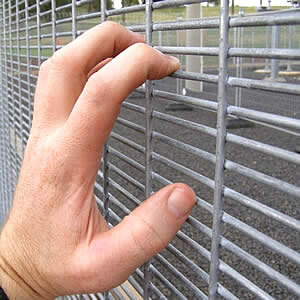 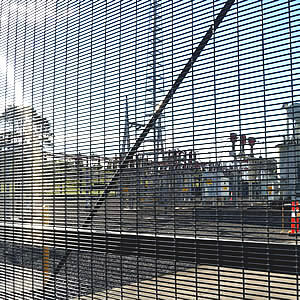 358 security mesh (358 welded mesh) is the final solutions for high security solutions ,such like for prison wall or very important facilities, it is a special fence panel designed for anti-climbing ,anti-cutting ,desgined with thick wire @ small distances ,people can not put finger into or cut it with a plier , besides the high security , it also has a pretty looks . 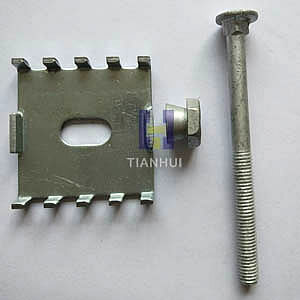 Specifications of 358 mesh panel . 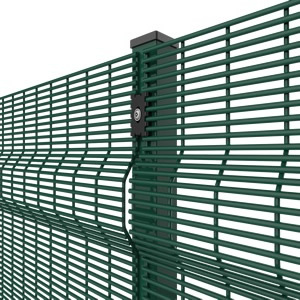 Fence panel size : 2.2m x 3m , 2.4m x 3m . 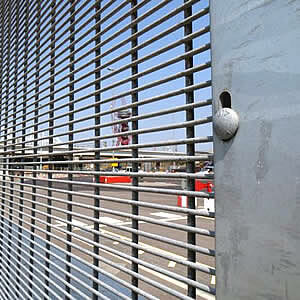 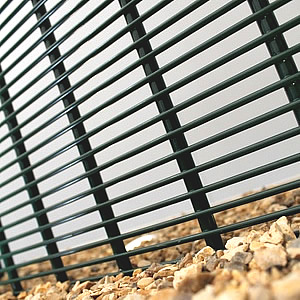 Post for 358 mesh fence normally made with 80mm x 60mm steel tuebe,wall thickness 2.0mm-2.5mm . 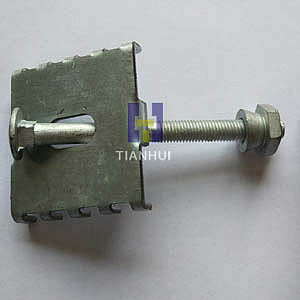 Hot-dipped galvanized after welding . 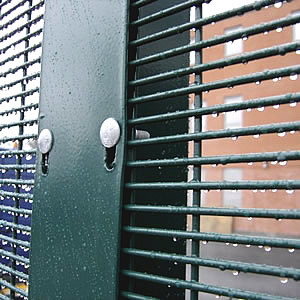 Galvanized +powder coated , colors available Black(RAL9005) , Green(RAL6005), etc .